This web site is intended to offer you information about Largemouth Bass Fishing! Not small mouth bass. I am sure they give a good fight but not like that big one in the picture below. Here the average everyday angler can find everything you need to ensure that you will have a great fishing trip or just enjoy an exciting afternoon down by the lake or pond. Want to raise your fishing experience up a notch? Here is what you can do. Around many top bass lakes you will find experienced guides who offer bass fishing charters. It's not for everybody but it is an option. 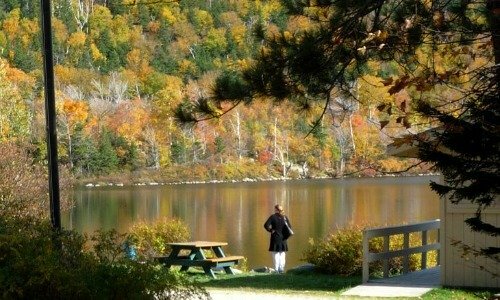 Your area state park is a great way to spend a weekend with your family or friends. State parks DO NOT offer boat rentals but they do offer cabins for rent. Some water parks operated by the Pat Harrison Waterway District offer boats for rent. Some state water parks have excellent bass fishing. Call ahead to find out if you want to rent a boat. I think I am drawn to fishing at state parks because they feel safe and the lakes are easy to get around. Another advantage is maps of many lakes of state parks can be found and downloaded easily. Let's talk about boats. Do you want a flat bottom or a V-Hull? Do you want to buy a used boat? I have a check-list for inspecting a used boat. If you are looking to upgrade your rig, check out the many models and types of bass boats and outboard motors on the market. I also have a check-list to winterize your boat. Choosing the right tackle can sometimes feel very confusing. Which bass lure is right for a specific time of year, water depth or climate? What rod goes with what reel and fishing line? Should I use a worm or a crankbait? A young beginner and even not so young need advice as to what to use sometimes. What is your favourite lure to catch bass? What do you always go to when nothing else is working? I have my favourite lure and I will talk about it on this web site...if I can remember what page it is on. We have all you need right here. Come on and get off that couch and let's go fishing for a big ole bass! 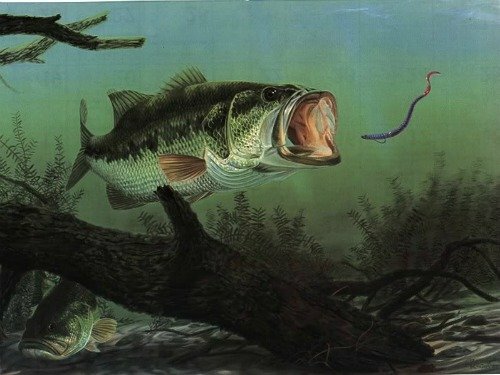 Bass Fishing Techniques to help you land the monster bass that you and your fishing buddies have been talking about. Which lures work best for cold weather bass fishing? Best Bass Fishing Lures in your Bass Fishing Tackle for catching Largemouth Bass. Tips on putting the right rod and reel combo together. Best Largemouth Bass Fishing Lures every angler should have in the tackle box. Crankbaits? Plastic worms? Jigs? What is your best bass lure? Tying fishing knots for the beginner angler. There are two or three knots used most often when bass fishing. This Bass Fishing Blog keeps you up to date with any changes and additions to the bass-fishing-info-guide.com Web site. Subscribe here. Would you like to share your knowledge about bass fishing? Great, find out how you can submit your story or tip here.